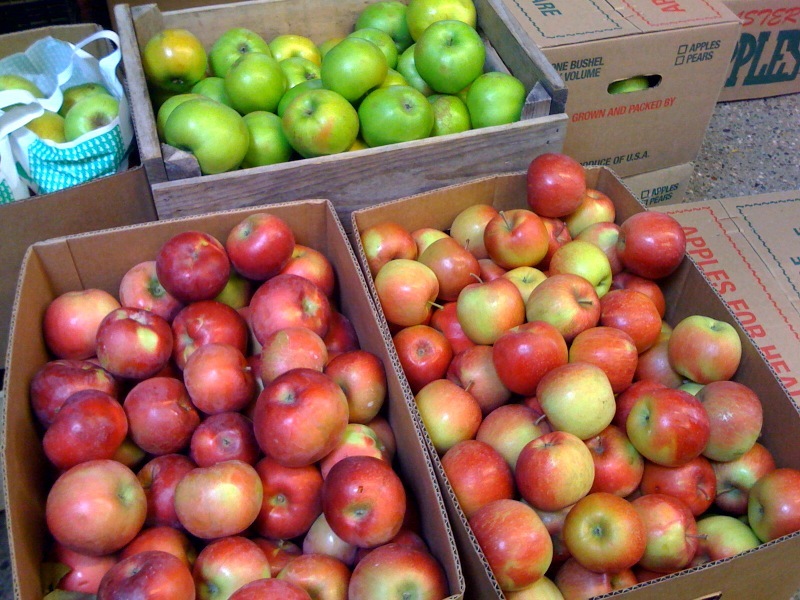 Apples aplenty at the first Pawtucket Winter Farmers' Market. These are from Hill Orchard in Johnston, Rhode Island. Today marked the opening day of the Pawtucket Wintertime Farmers’ Market season. 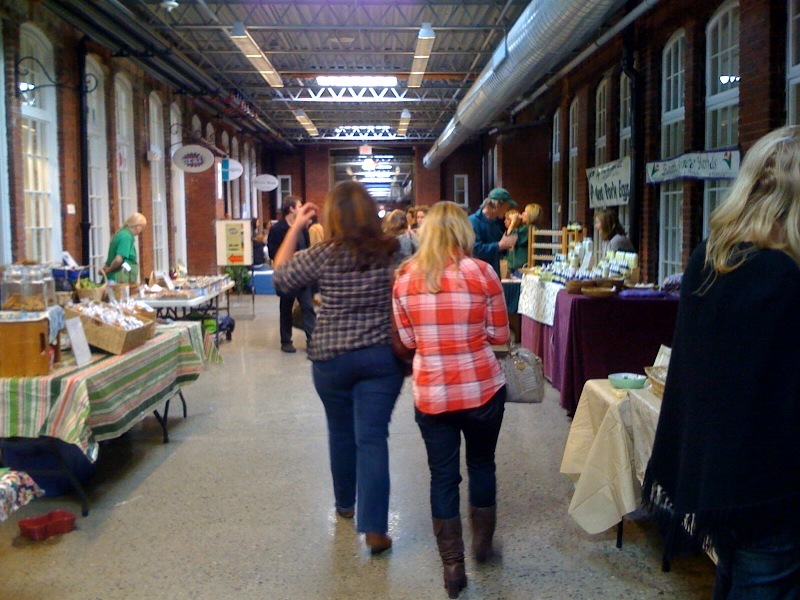 Held inside the the central atrium of the Hope Artiste Village in Pawtucket, the market gathers over a dozen farms, bakeries, and other vendors come together. I have a penchant for farmers markets, it’s true, but this one may be my Rhode Island favorite. First of all, it’s such a wonderful concept to begin a market’s season in November, when all the rest have already ended. Winter can be so barren in New England, and it’s nice to know that whatever can be grown in the coming months (presumably indoors), I’ll be able to buy. According to Farm Fresh RI, the market offers lettuces, greens, apples, potatoes, onions, leeks, garlic, radishes, fresh herbs, beets, carrots, parsnips, turnips, and winter squash all year round. And of course, the meats (from grass-fed beef to pastured pork) along with cheeses, jams, honey, maple syrup, milk, and eggs will certainly be available year-round. The architecture of the building reminded us a bit of Chelsea Market in New York, but in fact the market itself is more like a Paris market where you’ll find everything you need for a balanced meal — bread, meat, legumes, cheese. You’ll also find local sweet and savory vendors such as The Cupcakerie, Olga’s Cup+Saucer, Seven Stars Bakery, Kafe’ Lila (for ice cream), Tina’s Caribbean Food, and even Hewtin’s Dogs (Chez Pascal’s food truck) so you can stop for lunch and dessert as well as get your food shopping done.